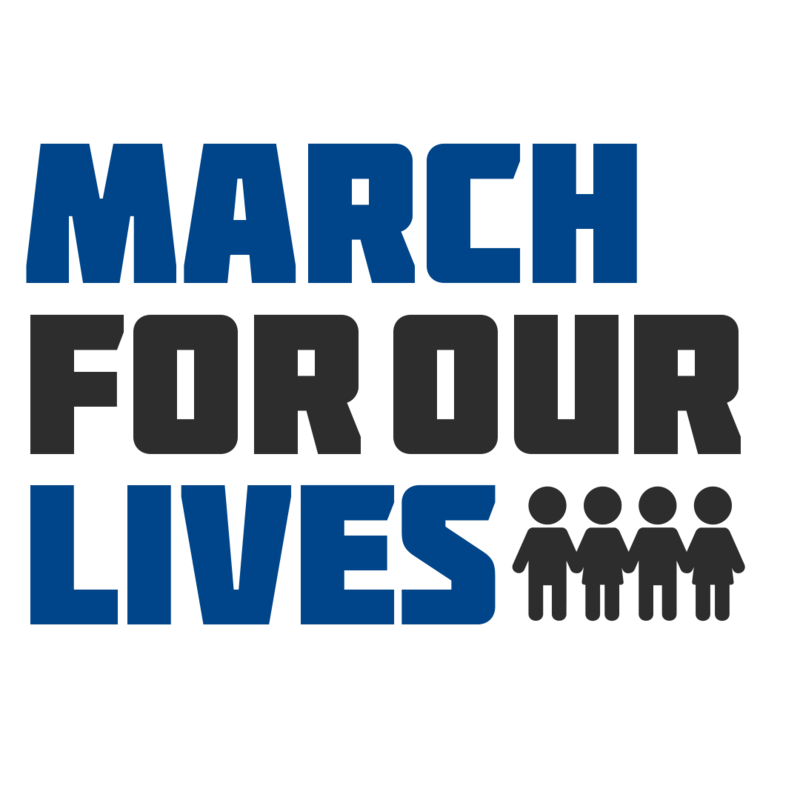 The Logo for "March for Our Lives. It was a warm and sunny March Saturday morning in downtown Los Angeles. Usually during this time, you would hear cars honking, tourists chatting, and locals sitting in cafes sipping their lattes. However, this was no ordinary Saturday afternoon in downtown Los Angeles. One month earlier, on Feb. 14, 17 students in Parkland, Florida were viciously gunned down in school by a school shooter. This school shooting was a part of a string of shootings that have been gripping the nation over the past few years, with the Las Vegas shooting and the Orlando Pulse nightclub shooting being prominent examples. However, this shooting was different from the others. While the other shootings were done in public places, this shooting was done in a high school full of children. The shooting was the deadliest high school shooting in history, eclipsing the horrific Columbine shooting in 1999 in terms of the death toll. 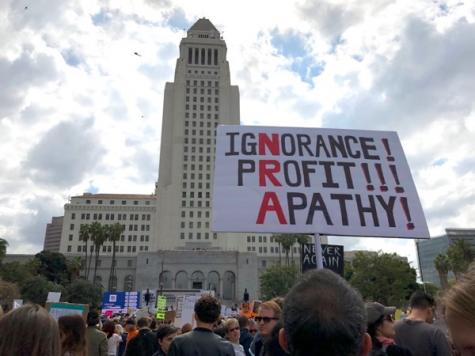 The event in itself lasted for a few hours, with notable public figures attending and giving speeches, such as L.A. Mayor Eric Garcetti who stressed the historic aspect of this protest. “Today will be written in the history books that your children will read,” he said. Other students from many other schools in the Los Angeles area gave speeches as well, some of them prompting tears from the protestors. This event attracted many students from around the Los Angeles area, with an estimated 15 Clark students in attendance. One of those Clark students was senior Raffi Hakopian, who is very passionate about the issue of school safety and gun control. 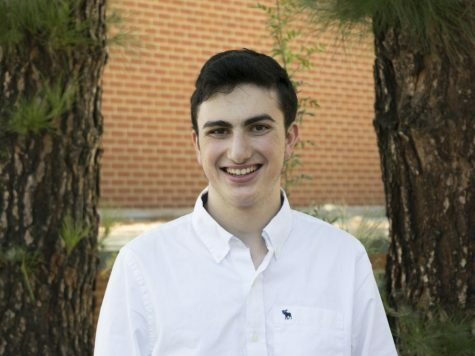 “I understand that I am not going to be in high school for very long, but I know that my other family members like my younger cousins will be attending high school very soon, and I want to make sure that high school is safe for them,” Hakopian said. The March’s route also took it past the Los Angeles City Hall. The incredible part of these protests was the sheer number of them across the nation. As I was standing on the street watching the protest, I noticed many TVs were visible in bars and store windows that showed the other protests across the nation, in places like New York City, Chicago and Washington, D.C. This helped paint the aura of a united front against gun violence and for gun control. Vociferous speeches from those TVs by Parkland students like Emma Gonzalez and David Hogg helped grow the protests and the passion for them in Los Angeles. However, I did notice a notable absence. Kyle Kashuv, one of the Parkland students who is pro Second Amendment, was barred from delivering his speech from the organizers of the march due to its “difference of opinion” from the main protest message. Unlike Kashuv, Christian Flores, another Clark senior who attended the protest, believes in the idea of stricter gun laws. “I went to the march to protest gun violence and have stricter gun laws. I also went to show support to gun free zones such as schools, so we can all study in a place without guns,” Flores said. During the march, I also observed “safe spaces,” areas filled with emotional people. These “safe spaces” were placed in areas all around the march. The emotions in general from every sector of the protest were at times overwhelming. The march was also very well organized, alongside the protest itself staying within the boundaries created for it. Many volunteers urged people watching to join in. I was approached four times to join in “The March For Our Lives.” The marches here and around the country had a profound effect on America’s politicians. Many from both sides of the aisle supported the march, with many expressing their support on Twitter. Former President Barack Obama tweeted “Michelle and I are so inspired by all the young people who made today’s marches happen. Keep at it. You’re leading us forward. Nothing can stand in the way of millions of voices calling for change.” Sebastian Velasquez, another Clark senior had a more moderate opinion on the issue.